What is the Campaign for Better Hearing? One in seven Australians live with some form of hearing loss1, but sadly, those affected are waiting an average of seven years before seeking hearing help, according to a Hearing Care Industry Association (HCIA) report1. In this time, people may experience social isolation and other health issues related to untreated hearing loss – factors that could have been prevented by receiving a hearing check. With this in mind, HEARINGLife are supporting the Campaign for Better Hearing (CFBH) – a new initiative launching this Hearing Awareness Week and World Hearing Day. The CFBH is a new movement designed to bring hearing to the forefront of the wider Australian health agenda. It's part of a global campaign hoping to raise awareness for such a common condition and one HEARINGLife are proud to support. 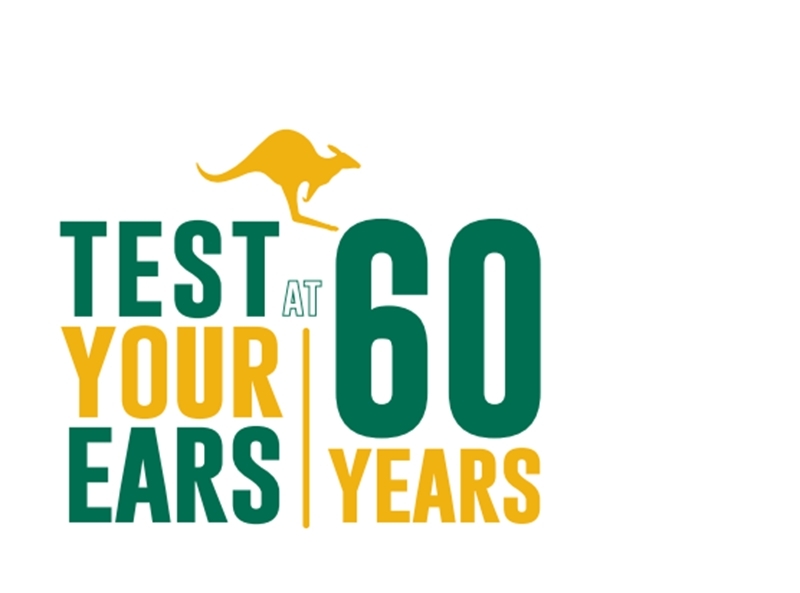 One of the campaigns biggest goals is to get everyone to 'test your ears at 60 years! 'Although hearing loss affects 16.67 per cent of the population, the older generation is the age group are most susceptible, with around 50 – 60 per cent of people aged over 60 living with some form of hearing loss, according to the National Foundation for the Deaf2. This is commonly referred to as age-related hearing loss (ARHL). In Australia, around 50 – 60 per cent of people aged over 60 live with some form of hearing loss. Currently, the prevalence of hearing loss in the better ear is estimated to affect 3.6 million people (14.5 per cent of the Australian population)1. But, due to the aged population being the highest it's ever been, ARHL is becoming an increasing issue for the country. By 2060, this figure is set to double to 7.8 million people, with one in five people predicted to live with hearing loss, rather than the current one in seven, states a HCIA report1. Not only is hearing loss a growing issue, it's also an expensive one. In 2017, the value of lost wellbeing was estimated to cost $17.4 billion and financial costs of hearing loss at $15.9 billion, for a total sum of $33.3 billion, states the report1. When was the last time you got your hearing tested? What does the campaign entail? The huge impact these issues have on the country is why the CFBH is encouraging people (especially those over the age of 60) to receive hearing help through complimentary hearing screenings*. This way, Australians will be able to find out exactly where their hearing abilities lie and discover whether additional hearing assistance is required. Through the sharing of stories, engaging video content and social media campaigns, we're hoping to show just how effective our initiative will be. In Canada alone, the campaign has already raised $300,000 to help provide hearing aids for those who cannot afford them. In Canada alone, the campaign has already raised $300,000 to help provide hearing aids for those who cannot afford them. Where does HEARINGLife come in? As full supporters of this incredible initiative, here at HEARINGLife, we want to make sure that we're doing our bit to help shine a light on such an important issue. Therefore, this Hearing Awareness Week onwards, we're asking the people of Australia to 'go bananas' for hearing health. From 26 February, you may spot the HEARINGLife team around town, handing out bananas to passers by. But why bananas? This yellow fruit is full of potassium – a mineral known to reduce the risk of ARHL. We're also offering complimentary hearing checks* and follow up assessments for those who may require additional hearing help. So, join us this World Hearing Day and get ready to go bananas for a great cause. For more information on the Campaign for Better Hearing or advice on your own hearing, give HEARINGLife a call on 1800 030 502 today.